Name this folder: American Chopper. This will be the name (Label) of our DVD. 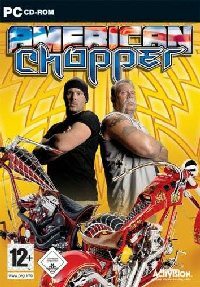 2) Copy all the contents of each CD to the American Chopper folder you just created. (This is all the information that was submitted for this conversion. I don´t know how many discs the game has but I am guessing itâ€™s a 4 disc game? 3) Create another folder/s for any Updates, Serial, Patches and or Cracks etc.